When your Scrabble rack is filled with vowels, knowing these vowel-heavy words (seven and eight letters long) can help turn your fortune around. All of the seven-letter words include at least five vowels, and the eight-letter words include at least six vowels. The definition is included in case your opponent challenges you. Included are words you can make by extending them in your current or future plays. AEOLIAN: a landform shaped by the wind. AEONIAN: an alternative spelling of eonian, meaning everlasting. AMOEBAE: the plural of amoeba, single-celled organisms. AQUARIA: plural of aquarium, a fish tank. AQUEOUS: consisting mostly of water. AREOLAE: plural of areola, a space between the veins in a leaf. EPINAOI: plural of epinaos, a rear vestibule. EXUVIAE: the skins discarded by various organisms when they molt. MIAOUED: a form of past tense for meow. OOGONIA: plural of oogonium, the female sexual organ of some algae and fungi. TAENIAE: plural of taenia, a tapeworm. ZOOECIA: plural of zooecium a sac secreted by an aquatic organism. AUREOLAE: plural of aureola, a halo. EULOGIAE: plural of eulogia, holy bread. NOTE: These words are legal according to the Official Scrabble Players Dictionary, 4th Edition and verified with the Hasbro Merriam-Webster Scrabble Dictionary online in November 2016. They may not be legal if you use a different dictionary. 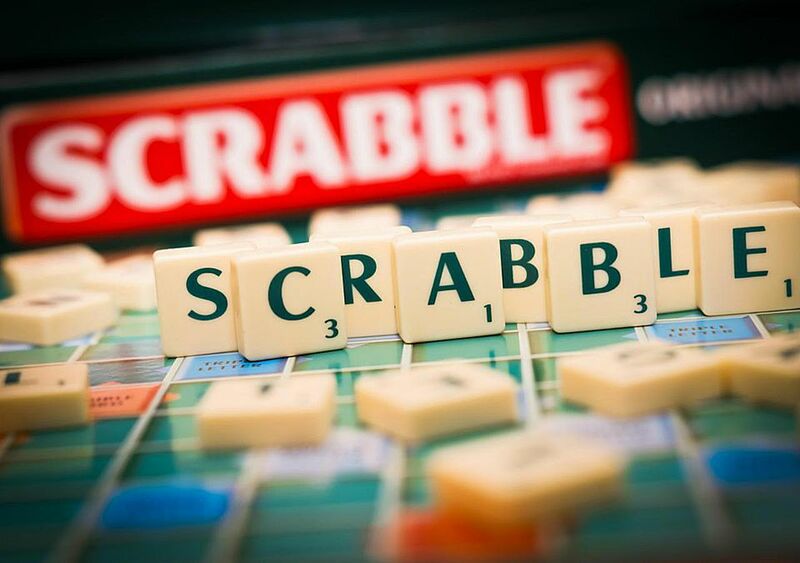 The word list used in tournament games in the United States is known as the Official Tournament and Club Word List, created by the National Scrabble Association.